Cruises from Seattle aren’t only a great starting point for visiting Alaska, but also for a number of destinations bordered by the Pacific Ocean! Seven night round trip cruises in Alaska are aplenty, however there are a small number of one way cruises to Vancouver and even cruises of up to 14 nights. If you’re looking to head to warmer climates, why not look at cruises down the west American coastline, or head to the exotics with cruises visiting the Panama Canal and South America. Scroll down for our most popular recommended cruises and to view the full list of cruises from Seattle. Only cruises with remaining available cabins are listed. Alternatively you may wish to view cruises from Vancouver, cruises from Seward, cruises from Anchorage or explore other options for Alaska cruises. 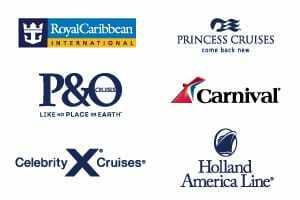 Our cruise specialists are on hand to help you with all your cruises from Seattle enquiries. Contact us or request a call back to chat with one of our friendly consultants. Don’t forget to ask about our fantastic flight and hotel deals to package up your Alaskan holiday.